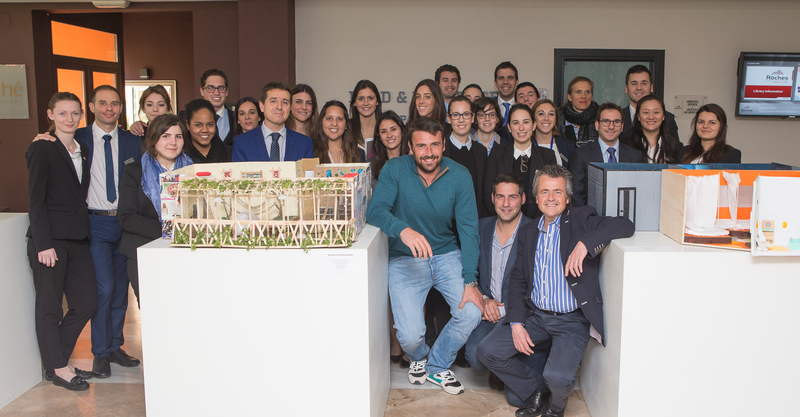 In January 2016, Les Roches Marbella’s Postgraduate course in Facilities Management included on-site coursework at the exclusive Malaga-based boutique hotel, Alcazaba Premium Hostel. Postgraduate students visited the hotel’s state-of-the-art installations and received valuable hands-on experience as part of a group project that focuses on energy efficiency through optimized design, systems security, and operational maintenance. During the visit students had the opportunity to speak with the hotel’s facilities manager and receive direct input on what would be needed to make the hotel efficient and sustainable in its future development. The Alcazaba Premium Hostel has quickly become one of the most sought after boutique destinations in the province’s capital. A combination of modern design, location, technology, and five-star hospitality serve as the backdrop to an unforgettable guest experience. Situated in the city’s historic old town, the hotel’s popular rooftop terrace bar opens onto a panoramic view of the Alcazaba castle and the Mediterranean Sea. In addition to the rooftop bar there is an “a la carte” restaurant located on the main level and 16 rooms distributed on 4 floors. As the hotel is uniquely designed to make use of the building’s vertical nature, students will analyze the facilities use of space, it’s distribution of installations, circulation and elevators, maintenance and cleaning facilities, etc. As a boutique hotel it is important to provide guests with energy-efficient functionality as well as aesthetic appeal in order to ensure their stay is an enjoyable one. Les Roches Marbella students learned how to achieve this by studying the hotel’s innovative technical solutions, environmental management systems, and energy conservation policies. They then were able to take this information and build their own projects with the intention of furthering the efficient nature of the hotel through their own innovative creations. The projects are currently on display in the campus exhibition center where the proprietors of Premium Hostels visited on February 25th to assist in the presentation of each design by the project leaders. During the presentations they gave their professional insights, recommendations, and congratulations to each student for the hard work and choice of their hotel as the focus of the project. As Les Roches Marbella’s campus is located in one of Europe’s most sought after luxury tourist destinations, leading international hotel companies are constantly innovating their products and services to meet global demand. 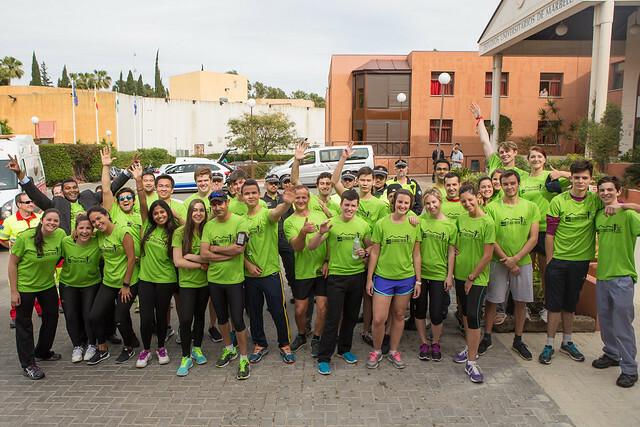 This abundance of successful hotels on the Costa del Sol provides our students with an ongoing selection each semester from which they are afforded the opportunity to study the Facilities Management course in a real-world environment.